Red Pine Food....well balanced & tasty! Well-prepared quality foods, attractively served make each meal an anticipated event. 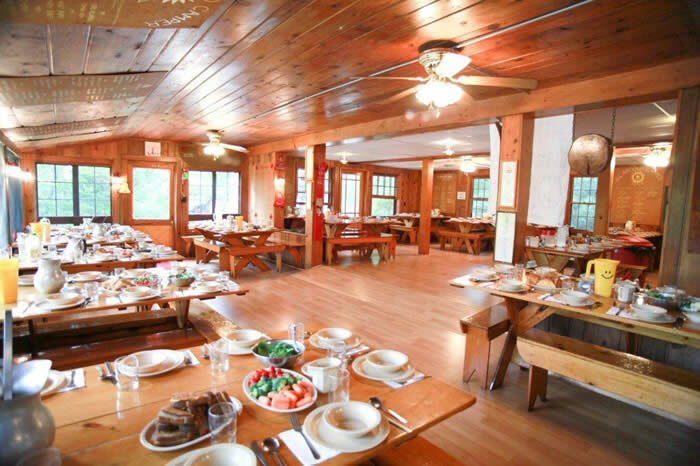 Meals are served family style in our knotty-pine dining room overlooking Clear Lake. 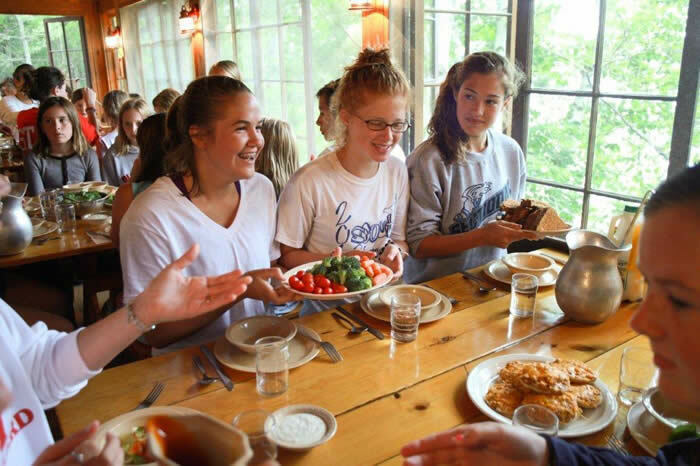 Campers sit with their fellow cabin mates and counselors and eat 3 meals together every day, serving food from platters and talking with one another throughout the meal. Girls set and clear the tables for meals, just like at home. 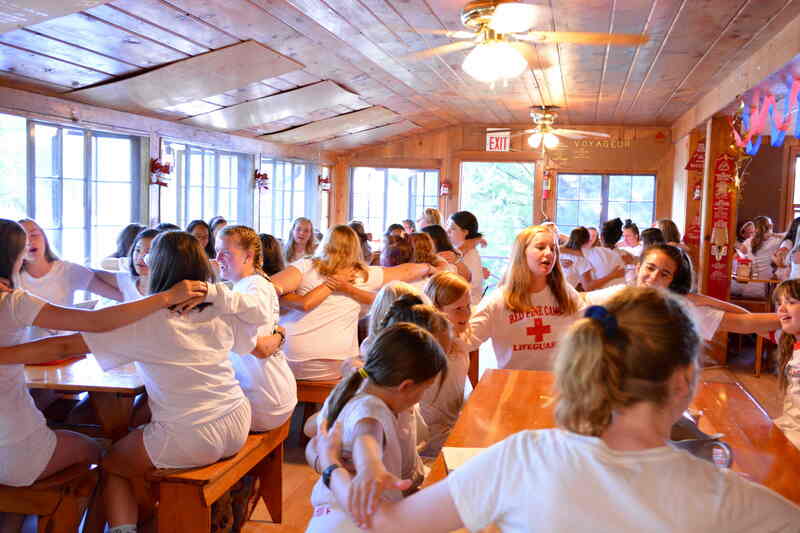 Girls often sing camp songs adding to the enjoyment of the meals. All-camp announcements and recognition of special camper accomplishments are made at the end of the meal. Once a week, cabin mates have outdoor cookouts or a pontoon ride on the lake for a special picnic. Red Pine food is really good! Red Pine food is well-balanced and tasty. Every meal features a camp prepared entrée, teamed with a variety of fresh fruits and vegetables-plus a yummy dessert. We are happy to assist any child that may need a menu designed due to a specific health concern. 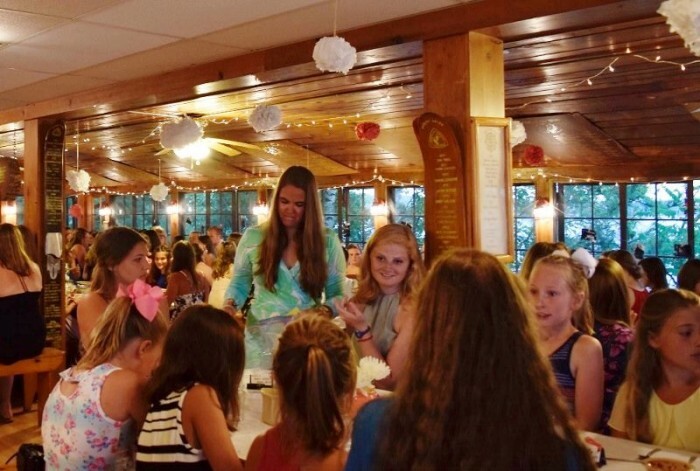 Our goal is to provide every camper with the energy they need to have FUN at camp.The kitchen staff works hard on planning and maintaining well-balanced, interesting, and varied camp meals for the campers and staff. Healthy snacks are available at various times throughout the day.